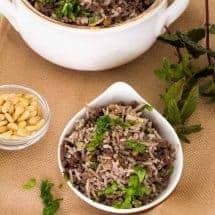 Lebanese hashweh combines ground meat and rice with pine nuts, allspice and other spices to make a wonderful side dish, or a flavorful stuffing for chicken or turkey. An easy one-step recipe can be made in a Pressure cooker, the Instant Pot Gem, or stovetop. I have this extremely popular Ground Beef shawarma with rice recipe that is well-loved by all who have tried it. Babies and young children seem to be particularly fond of it, which makes me very happy. I think the best thing about it—apart from the ease of making it—is that really, who doesn’t love a meat and rice dish? Whether you’re talking about making chicken biryani, Hainanese chicken rice, Lamb Dum Biryani, or Hashweh, every culture has some combination of ground meat and rice dishes. One of my favorites is Hashweh, a Lebanese rendition of meat and rice. Traditionally this dish calls for ground lamb or lamb chunks. But it’s difficult to find lamb where I live, so I improvise with ground beef. If you can find ground lamb though, I’d definitely urge you to try that. 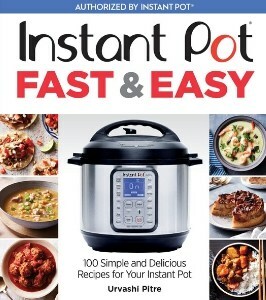 I have a new toy, which is the Instant Pot Gem. It’s not a pressure cooker like my regular Instant Pot. Rather it’s a multi-cooker that can do many different things. This Lebanese Hashweh was the first thing I made in my Instant Pot Gem. For this recipe, it allowed me to sauté and brown the pine nuts, onion, garlic, and meat on its Sauté/Sear function. After that, I was able to use the Automatic Rice cook function and just walk away. Okay let’s be honest, I didn’t want away. I stood there like a nervous mother watching that baby, wondering if I had done things right? Would the pot stop cooking on its own? Were things burning? But really, I needn’t have worried. The non-stick interior makes it unlikely things will burn and the pot appears to know what it is doing. I will provide instructions for making this Lebanese Hashweh Ground Beef and Rice dish for the Gem as well as for the Instant Pot below. 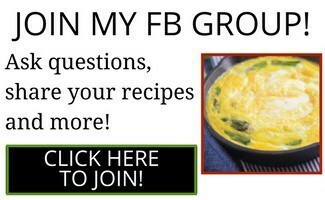 ★ Did you make this Lebanese Hashweh Recipe? Don’t forget to give it a star rating below! 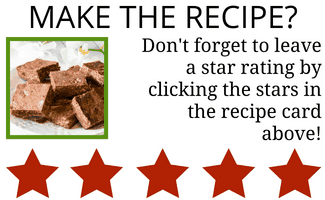 Just click on the stars in the recipe card to rate. 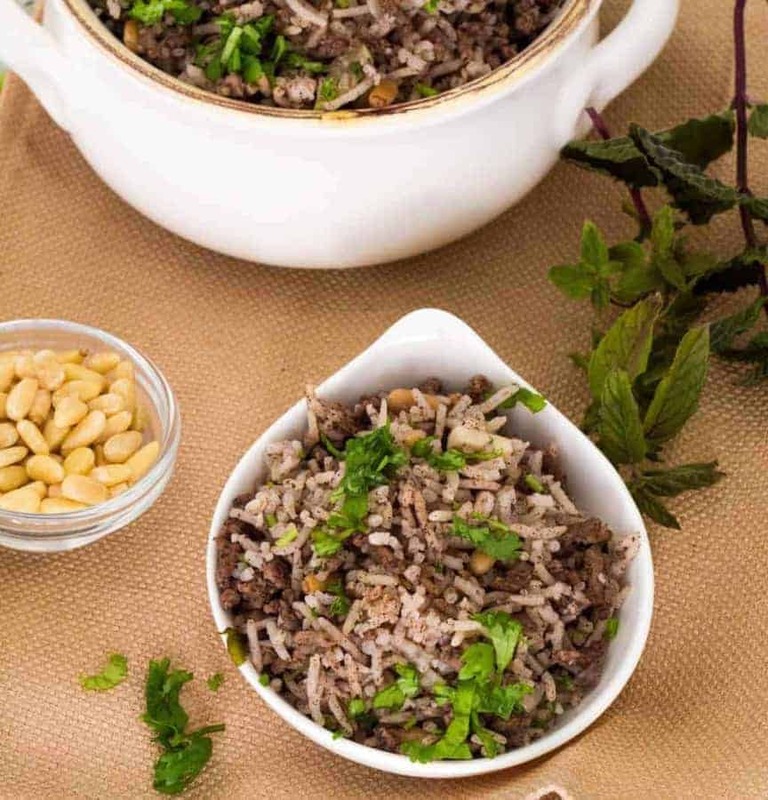 Lebanese hashweh combines ground meat and rice with pine nuts, allspice and other spices to make a wonderful side dish, or a flavorful stuffing for chicken or turkey. This easy one-step recipe can made be in a Pressure cooker, the Instant Pot Gem, or stovetop. Heat your Instant Pot Gem or Pressure Cooker on sauté. When it’s hot, add butter. To the melted butter, add pine nuts. Sauté 1-2 minutes. Add minced garlic and onion. Mix well. Add ground beef and break up the ground beef. Add all spices and mix. Add rice. Set your Gem on Rice Cook. It will automatically start and stop cooking when the rice is done. Fluff up the rice and sprinkle with garnish. Serve hot with a side of tzatziki. Cook on high pressure for 4 minutes. Let the pot sit undisturbed for 10 minutes. Then release remaining pressure. Can I use regular long-grain rice? Also, on the stove top, do I still leave it undisturbed, or will it be better to make rice separate, and then combine? I know that this is for the instapot but do you think this would convert to one pot cookstove and if so, would I essentially do everything the same except cooking the rice for the amount of time rice cooks on a stove? This looks great. . Could I use brown basmati rice and would the cooking time or amount of water (for Instant Pot) change? 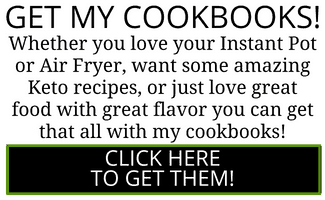 I’ve been cooking from your book since I got my IP and everything has been delicious! Brown rice takes 22 minutes and I’m a little concerned the meat will be mush by then. I used brown Basmati with 1-1/4 c water, 17 minutes HP with 10 NPR, stirring halfway through – this was partly to check that the meat wasn’t getting sad, and partly to give the drier grains of rice their turn submerged in liquid; it cuts the long cook time a little. The meat (90% lean lamb) was still divine, and the rice was chewy, not mushy. This was so easy to make in an Instant Pot! Really only took a few minutes of my time. I used both slivered almonds and raisins in place of the pine nuts since that was the only ingredient I didn’t have on hand. Turned out great! About how long did the automatic rice setting take to cook on the Gem? I should have timed it but I was too distracted with the newness and wondering if it was cooking etc. if I had to guess I’d say about 15 mins?